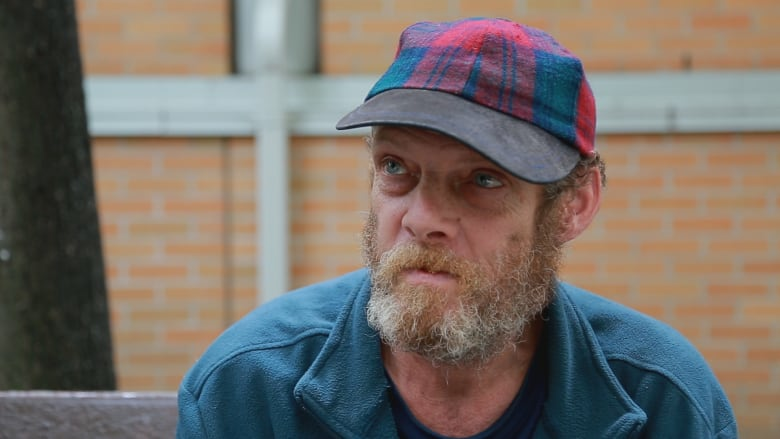 A formerly homeless man had $65,000 in fines stemming from provincial offences such as trespassing and liquor violations wiped out on Tuesday, with the help of an Osgoode Hall law student. A formerly homeless man with $65,000 in tickets stemming from provincial offences such as trespassing and liquor violations had his fines wiped out on Tuesday, with the help of an Osgoode Hall law student. 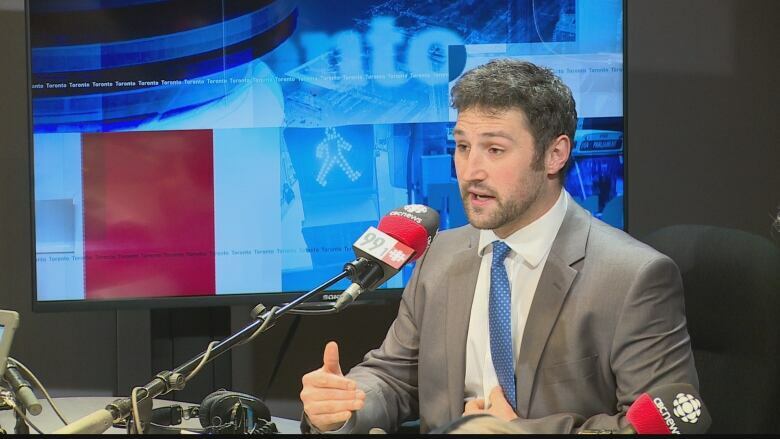 Daniel Ciarabellini, a student director of Fair Change Community Services Legal Clinic, told Metro Morning on Monday that the student-run legal clinic defended Gerry Williams against about 450 unpaid tickets under the Provincial Offences Act. Williams, who has struggled with addiction issues, was homeless for about nine years. The appeal is a group effort on part of the clinic. Ciarabellini said on Monday that a previously negotiated deal with two Crown prosecutors at Ontario Court of Justice would have seen about $65,000 worth of the tickets, considered quasi-criminal, dropped in exchange for community service. One of Williams' charges, for aggressive panhandling, remains. He was sentenced to 156 hours of community service for the charge, to be completed over the next 22 months and will be on probation for the next two years. The tickets are for such offences as panhandling, public intoxication, violation of liquor laws and trespassing on private property. Williams still faces about $5,000 of the tickets for federal offences, which have to be appealed separately. Ciarabellini said the goal is to streamline the process of appealing these kinds of fines, but the larger issue is the criminalization of homelessness in Toronto by various laws, including Ontario's Safe Streets Act, which prohibits panhandling in specific situations. He said he is also advocating for aboriginal sentencing in these cases. "Gerry came to us just over a year ago after having been sober and housed for about a year," he said. "Gerry spent about nine years in a cycle of alcohol dependence and homelessness. "When you live on the street, you are constantly receiving tickets — you know, loitering, public intoxication. Many people receive tickets for panhandling. You develop this cycle of just always being out in public space, because you don't have anywhere else to go. They receive five to 10 tickets a day. It's easy to amass a pile of them." Ciarabellini said Williams's plight isn't unusual, and many homeless people in Toronto are facing hundreds of dollars of fines. He said there are many different laws that are applied against homeless people, but no one thinks about their ability to pay. "I think police officers who give out the tickets are simply doing their jobs," he said. "It's a problem with the law." In an interview with CBC News, Ciarabellini said: "These fines just don't get paid." Ciarabellini told Metro Morning that the clinic, which is run by volunteers who don't receive payment or school credit, had to expand when Williams came to clinic with his case. He said it originally had five volunteers but recruited a dozen new people to deal with the paperwork. The file would take roughly about 100 hours to complete, he said. "When Gerry first came to me with his file and he showed me the paperwork, my eyes kind of widened. I had never seen a file that large," he said. "Gerry himself ended up doing his own a fair share of the paperwork." He said Williams didn't know he was facing these fines until he was off the street. If the fines are not paid and not dropped, they could affect his credit rating and his ability to get a driver's licence, jobs and housing. An appeal involving a large number of tickets was labour intensive, with each ticket requiring a handful of administrative forms. The Toronto courthouse handling the appeal allowed the clinic to streamline the process for this one case, but Ciarabellini said he thinks the courthouse should adopt a new streamlined process for other mass appeals. Under the deal, the provincial amount owing would be reduced to zero and Williams would pay nothing in fines. Ciarabellini said the case will be heard on Monday afternoon. Rob Irwin, originally from Bancroft, Ont., has been homeless in Toronto for about a month and half and has been ticketed multiple times for drinking in public. "They just give me a ticket for drinking in a public place," Irwin told CBC News's Lorenda Reddekopp. "Its a hundred, and, I don't know, thirty five bucks or something for the ticket, but ... I just throw them in the garbage and nothing's ever done about it." Irwin explains the tickets are never acted upon by police. "Like, maybe a year down the road you might run in to them again, they'll run your name through the computer and everything, and you'll come back whistle clean, even though you got all these fines," he said. "They don't bother you with the fines, for some reason, I don't know why." Irwin also noted he knows other homeless people who have accrued "thousands and thousands of dollars in fines for doing different things."